Fishtown-headquartered Honeygrow is bringing its spinoff concept, Minigrow, to Philadelphia after a New York debut last fall. Minigrow, as its name suggests, is a streamlined version of the stir-fry fast-casual chain. Instead of touchscreen kiosks to order, Minigrow has an assembly line of staffers creating noodle and salad meals from a more succinct menu. 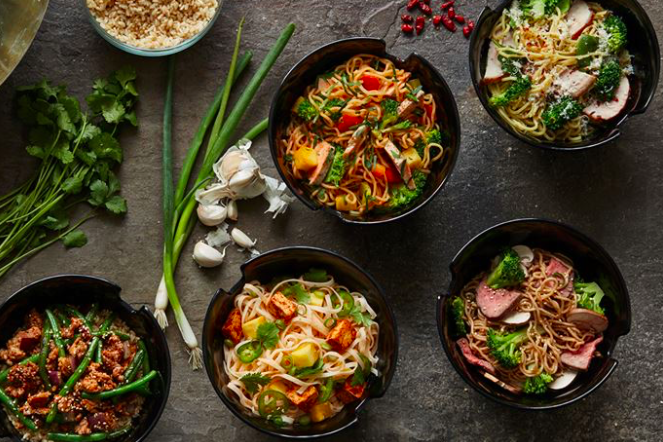 Despite Honeygrow’s roots in Philadelphia, the company decided to market its first Minigrow concept in New York last October. Minigrow has since launched two more New York locations, and one in Chicago, while Philly has patiently waited in the wings. Though dates for launch of Minigrow in Philadelphia still have not been announced, there are some signs of life: The Philadelphia Business Journal reported the first Philadelphia Minigrow will be in Rittenhouse at 18th and Chestnut Streets. Honeygrow recently partnered with LevelUp to further develop a digital guest engagement program to make pickup orders easier. Several other local brands have also partnered with LevelUp to create new ordering techniques and concepts, including healthy fast-casual chain Bryn + Dane’s, which is based in Plymouth Meeting. Bryn + Dane’s ordering kiosks incorporate facial recognition for orders, which has recently been implemented at Philadelphia-based Fuel.